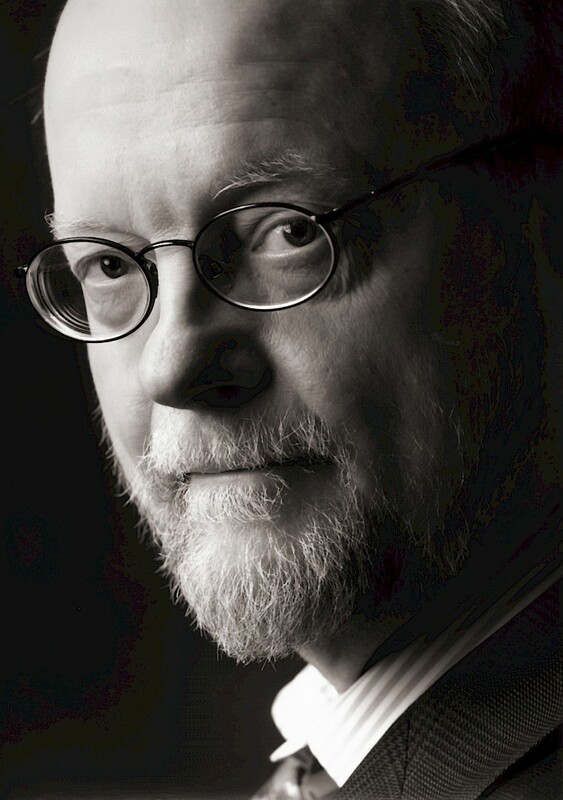 Eastman welcomes one of the world’s leading composers, Charles Wuorinen, as this year’s Howard Hanson Visiting Professor of Composition. Wuorinen will be in residency at Eastman from Monday, November 12 through Friday, November 16. His visit will culminate in a concert celebrating Wuorinen’s 80th birthday and featuring his compositions, on November 16, 7:30 p.m. in Kilbourn Hall at Eastman Theatre, with Eastman’s Musica Nova, conducted by Brad Lubman and Edo Frenkel. Wuorinen’s residency also includes a master class with the composition department, a piano recital of compositions dedicated in his honor, a Composition Department Symposium, and a Music Theory Department Colloquium. Eastman Associate Professor of Conducting and Ensembles Brad Lubman has known Wuorinen for at least thirty years, conducting his first Wuorinen piece in 1985 as a student himself. “When Wuorinen was first gaining recognition in the 1960s and ‘70s, he was considered by many to be a triple threat: not only a brilliant composer, but a highly skilled pianist and conductor. He was also a very important figure for music students in the late ‘70s and early ‘80s because in 1962, he founded The Group for Contemporary Music. The people in that ensemble set a standard of excellence, advocating for the importance of playing new music.” Professor Lubman also noted that when Stravinsky passed away, his widow was in search of a composer to whom she could give Stravinsky’s last sketches and commission a piece. Wuorinen was the composer honored with this commission, composing A Reliquary for Stravinsky in 1975. 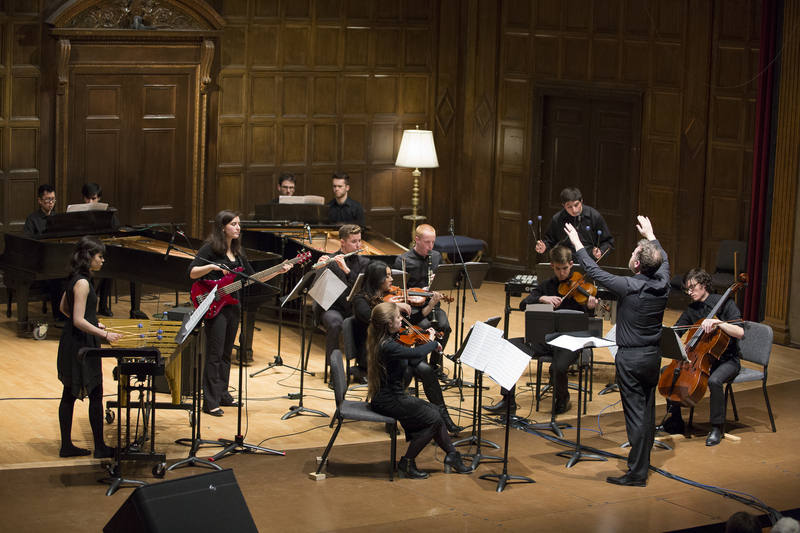 Wuorinen will comment on compositions written by four Eastman composition students. Featuring compositions by Anthony Cornicello, Elaine Cory, Louis Karchin ‘73E, Peter Lieberson, Harold Meltzer, Robert Morris ‘65E, Tobias Picker, Bruce Quaglia, James Romig, Harvey Sollberger, Edward J. F. Taylor, and John Zorn. Coordinated with the journal Perspectives of New Music, set to publish a Festschrift for Wuorinen including scholarly articles on his music and compositions in his honor. Two of the eight articles that will be published in the Festschrift, read by the authors, will be presented. Featuring works by Anton Vishio ofWilliam Patterson University, and Daphne Leong, from the University of Colorado at Boulder (a PhD graduate of the Eastman School). Musica Nova, Brad Lubman, director, and Edo Frenkel, conductors. Featuring Eastman musicians Benton Gordon, Yi Xiang, Jasmine Daquin, Adam DeSchriver, Chanse Morris, Varun Rangaswamy, Victor LaBozzetta, Emma Gierszal, Andrew Bockman, Justin Lamb, Gordon Fry, Sia Uhm, I-Hsiang Chao, Chloe Desouza, Brock Tjosvold, Amy Thompson, Tom Torrisi, Raina Arnett, Holly Workman, Cindy Lan, Rachel Rice, Joëlla Becker, and Sean Knapp.